Maybe you just got into exercising with a kettlebell. While the kettlebell may be new to you, kettlebells aren’t new, they have been around for a few centuries. Kettlebells first became popular in Russia where the traditional weight measurement, the “pood” originated. 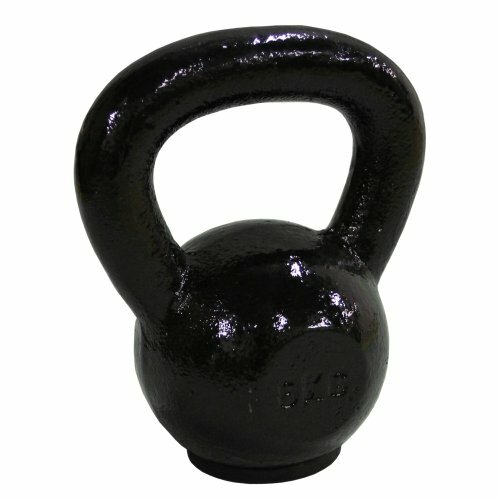 In case you are curious, a “pood” is 36.1 lbs, and you just may see the pood when researching kettlebells. 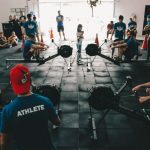 Today, with the growing popularity of functional fitness movement, CrossFit and even kettlebell classes, the kettlebell has become the new “IT” fitness equipment. 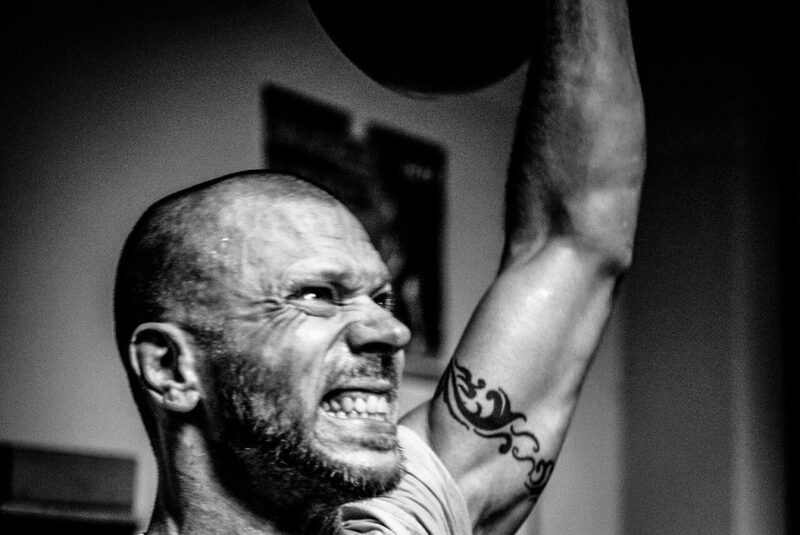 Put simply, the kettlebell is HOT. And it’s no wonder, the kettlebell is compact, versatile, and can provide a complete workout on its own. It is likely you are here today looking for the best kettlebells and we are here to help. 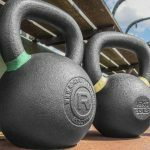 We will discuss what a kettlebell is, how they can benefit you, what to consider before choosing the best kettlebell brand, and wrap up with kettlebell reviews of our top 17 picks for 2019. 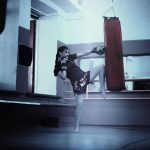 Why do I Need Kettlebells? What can I do with the Humble Kettlebell? How do I Find the Best Kettlebells for My Workout? A traditional kettlebell is a metal, usually cast iron or steel, ball with a metal handle. The kettlebell is ideally one solid piece of metal. Inferior models may have handles that screw on and those should be avoided as they can break and be hazardous. You simply grip the handle and lift the weight, no need to worry about weight plates sliding around. Kettlebells are simple, safer and easier to balance than barbells, which is why they are so popular in functional fitness and CrossFit. You are doing weighted box step-ups, onto an 18 inch wood plyobox. Which is safer to use while stepping up on the box? A long barbell on your back? Or a compact kettlebell held near your torso, close to your center of gravity? The compact size of the kettlebell allows you to maintain balance easier than the barbell would. 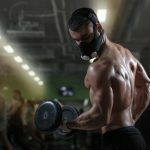 Unilateral Training – It seems obvious, but you can use a kettlebell with one hand, and train unilaterally, or one side of the body at a time. You can’t really do that with barbells which generally use both hands. Many exercises that call for barbells or dumbbells can be done with a kettlebell, and it is easier to balance a kettlebell. Take the squat as an example. 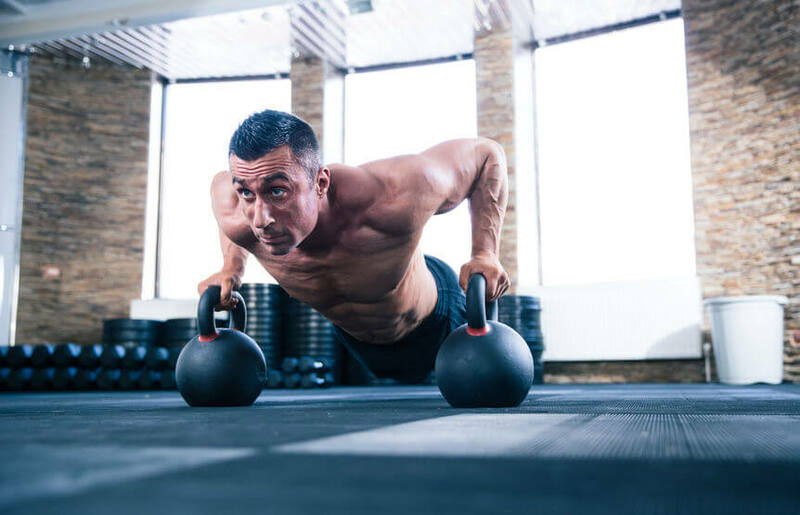 It is traditionally done with a barbell, but you can use a kettlebell in each hand and have better balance and work more stabilizing muscles using kettlebells. No one has ever heard of the barbell swing, right? With a kettlebell, you can perform a kettlebell swing, which includes bending the knees slightly while swinging the bell through your legs and back, and returning to an upright position while swinging the bell up over your head. The kettlebell swing is an excellent exercise and hits most of the core muscle groups in your body, along with burning a respectable number of calories with each swing. You can’t do a swing with a barbell because you will take out your neighbor or land flat on your bottom, or worse if you try. The kettlebells concentrated center of gravity makes them easier to hoist up above your head, or hold away from your body with your arm fully extended. Are kettlebells and dumbbells so similar that you don’t need both? It is a valid question since you do not want to invest more than necessary in your home gym. Let’s use simple pros and cons list to sort things out. Good for controlled (slower) movements. Available at virtually all gyms, box stores etc. If the dumbbell is adjustable, you can add weight as you progress. Weight is divided on either side. The weight is not focused on one point. Dumbells are awkward and clunky for swing movements as they are not designed for swings. 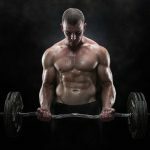 Exercises that require two hands on the weight at the same time may be awkward or impossible with dumbbells. Dumbbells are wide, not compact like kettlebells. Can not, or should not, toss or try and catch dumbbells. Weight is centered and focused in one spot, they are easier to balance. Good for explosive fast movements, like the kettlebell swing. Kettlebells are generally more compact than dumbbells, even at heavier weights. Most kettlebells are designed to be used with two hands, as necessary. The rounded shape make tossing and catching kettlebells feasible. Not always available, not as common as dumbbells. Most kettlebells are fixed weight, so you would need to buy more as you progress. 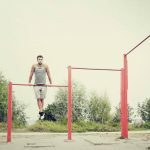 While there are similarities and exercises that cross over between kettlebells and dumbbells, they are actually quite different. Like apples and oranges different. They are both components of a well rounded home gym. They mostly serve different purposes, and each have specific exercises where they are the correct tool for the job. Kettlebells can provide a full-body workout. Many exercises that engage the core, the shoulders, the legs, and the lower back make use of a kettlebell. For beginners or lighter intensity workouts, kettlebells can be used for squats. This super simple move utilizes two heavy kettlebells lifted from the ground and held at your side as you walk the length of the gym. Who ever said working out had to be complicated? 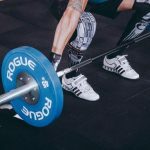 The kettlebell deadlift is an alternative move to the barbell deadlift. Place the kettlebell centered in front of you, grab the handle with both hands and lift the weight while your arms remain extended toward the ground. This is a more complicated kettlebell exercise that work core muscles and pretty much everything else. The exercise begins on the ground while laying on your side, holding the kettlebell, rolling to your back, maintaining the kettlebell overhead, getting on one elbow, bringing one knee up with foot planted on the floor, posting to the hand, sweeping the other leg behind you, standing upright, then returning, performing the motions in reverse. Many people find that low intensity bicep curls work great with a kettlebell, since the weight distribution is perfectly even. We have previously described the kettlebell swing, but this video demonstrates the move well. Not all kettlebells are built equal. Despite their similar apperance, they may have different designs. The subtleties may be lost on you if you’re merely looking at the kettlebell, but manufacturers all make varying design choices that optimize their kettlebells in specific ways. 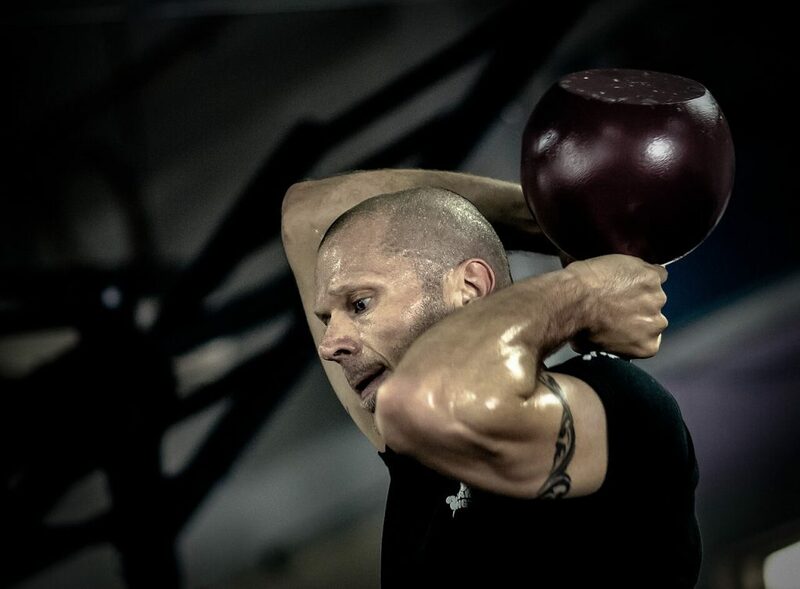 The grip, or the handle, is where you hold onto the kettlebell. There’s no standard for handle diameter unless the kettlebells are being used in a competition. As a result, some kettlebells have thinner grips than others. While it’s not necessarily bad to have a kettlebell with a thinner diameter grip, it doesn’t work as well for heavier weights. The larger the weight of the kettlebell, the larger the grip should be. Some grips are textured, and this is a huge bonus if your hands sweat easily. Your hands may slide on polished, smooth grips, and they may slip out of your hand. Some manufacturers use powered coating, hammertone finishes or other matte finishes to add grip. Some kettlebells have texture built into the cast metal. Too much texture may lead to callouses or tears. Many kettlebell exercises require you to hold the bell handle with both hands. This means the handle needs to be wide enough to fit both hands side by side to comfortable perform these moves. The most important thing to look for concerning the grip is the way it’s integrated with the weight. Ideally, the handle and weight are one solid piece of metal. Cheap kettlebells have screwed in attached handles that are a separate piece apart from the metal bell. These are not advised as they can break and be dangerous. A quality one piece construction kettlebell should have smooth seams with no jagged or rough edges that may scratch and cut skin. 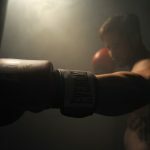 Coating for noise reduction – kettlebells with a vinyl or rubber coat are designed this way s they make less noise when set or dropped on the floor. They also protect floors and other gym surfaces. Coated for corrosion and oxidation resistance – there may be a coating on the kettlebell that helps prevent rust or oxidadtion of the weight. Coated to provide grip and texture – the manufacturer may place a matte or textured finish to enhance the ability to hold and grip the bell, even with sweaty hands. Round bottoms are great on everything except kettlebells. If you plan on using the kettlebell as leverage against the floor, you need a flat bottom kettlebell. Kettlebell push ups are one exercise where a flat bottom is needed. It’s better to select a kettlebell with a wide flat bottom. They’re more stable and easier to store than their rounded counterparts. To some extent, the best kettlebell manufacturer depends on what your exact needs are. Some brands, like TDS and Valeo, produce kettlebells with wider grips that work better for people with large hands. There are also brands like JFit that create vinyl coated kettlebells, which work great for people who enjoy the protection of the coating. Apollo Athletics, RKC, and Body Solid’s offerings are made of solid cast iron, guaranteed to stand up to the test of time. 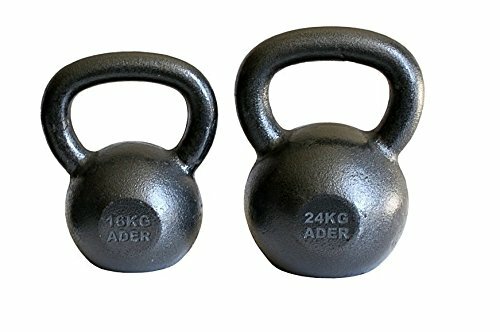 Ader offers kettlebells that are uniform in size, that is, they are the same size, no matter the weight. Plus Ader has a Pro line of kettlebells that meet kettlebell lifting competition standards. Here’s an overview of some of the best commercially available consumer kettlebells. Which one will work best in your home gym? 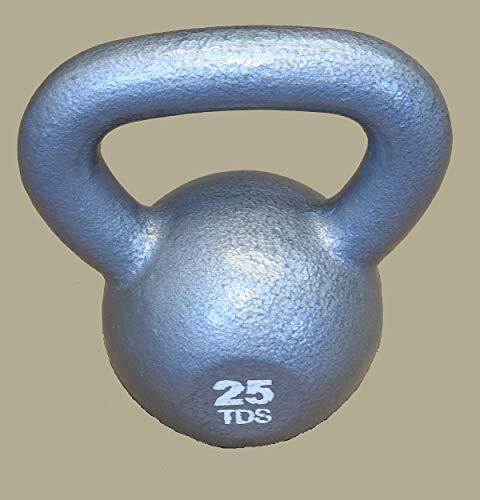 Review: The TDS 25lb kettle bell is made from solid cast iron, and has a relatively narrow flat handle with a wide space between the weight and the handle which makes it perfect for folks with large hands. This kettlebell is made with careful attention to detail and has not burrs, seams or sharp edges. This kettlebell is surprisingly affordable for the weight. 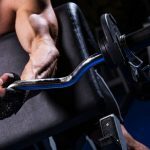 Handle may be too wide for one handed exercises like racks and curls. 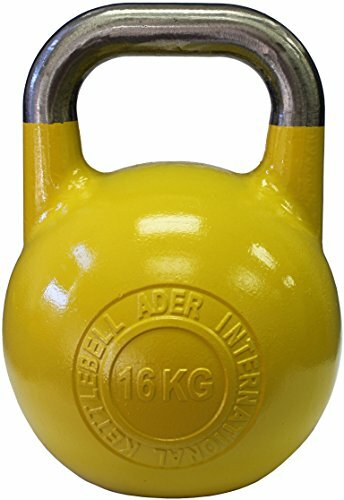 Easily one of the best kettlebells for the money. Review: This set includes two kettlebells, one 20lb and one 25 lb. This makes it easy to swap out your weights, depending on what kind of exercise you’re doing. The vinyl coating keeps the iron from being exposed and corroding, reduces noise and protects floors. Set of two, 20 and 25 lbs. Vinyl coated bell, protects floor and reduces noise. Solid steel 1” diameter handle. A great set of kettlebells with coated with noise reducing vinyl. 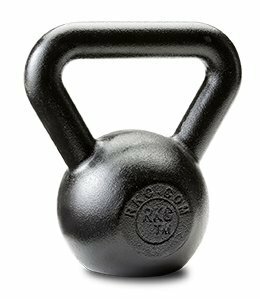 Review: Legendary lifting equipment manufacturer RKC manufactures this superior kettlebell, available in weights ranging from 10 to 22 lbs. They have a wide flat bottom, a finely textured cast iron, and a stamp in the center with the brand and weight in kg and lbs clearly marked. Available in 10, 18 or 22 lbs. NO seams, sharp edges or protrusions. The handle is not big enough to use with two hands. The Gold Standard of Kettlebells from one of the best kettlebell brands. Review: This set is one of the best values for your money you’ll be able to find anywhere.The set includes one each of 5lb, 10lb, 15lb, 20lb, 25lb, and 30lb. 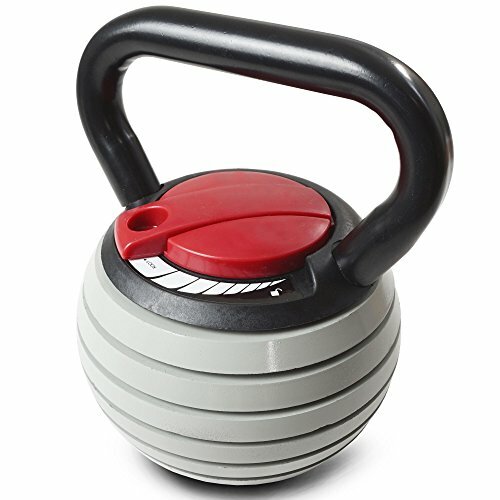 Their unique hexagonal handle is easy on the wrist preventing strain or injury, especially during kettlebell swings. Each weight is vinyl coated for noise reduction and corrosion resistance and clearly labeled with the weight in pounds. 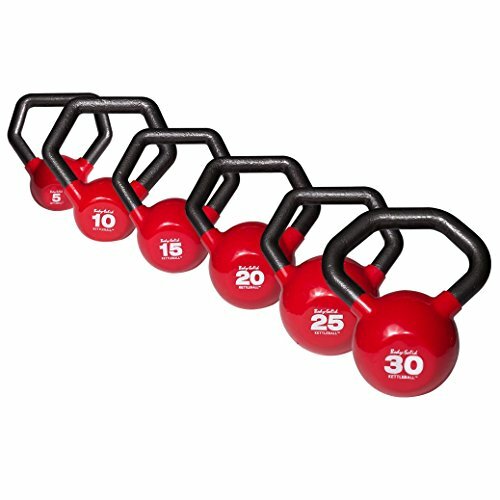 Set of 6 kettlebells ranging from 5 to 30 lbs. Vinyl coated for dampening noise and preventing oxidation. Hex angles shape lessens strain on wrist during swings. The flat bottom has a small footprint and the weights have a tendency to tip when placed on the floor. The best set in all of our kettle bell reviews. Review: Kings Kettlebells are gravity cast and form one single piece of cast iron, making a stronger kettlebell with a precise weight every time. 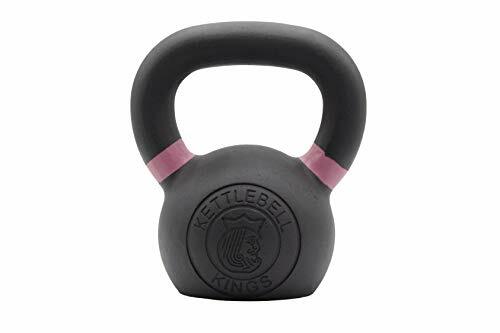 Kings kettlebells are available in weights of 4 kilos to 48 kilos. 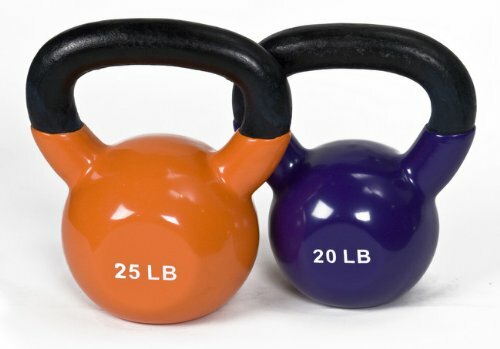 These kettlebells are powder coated enamel over solid construction cast iron, with color bands on the handles that are coded for weight. Powder coated corrosion and rust resistant, does not chip like paint might. Textured handle provides secure grip. Some find the handle diameter too narrow. It is 33 mm diameter. The king of kettlebells, and one of the best kettlebells for small hands. Review: This set of 16 and 24 kg weights is a great value for the CrossFit athlete. The Ader kettlebell has one of the flattest, most level bottoms available. If you’re really interested in using your kettlebells for floor exercises, such as floor presses, you’ll find that Adler’s kettlebells provide you with a stable surface. They’re very well balanced weight-wise, and hold up well under your bodyweight. Set of two kettlebells in 16 and 24 kilos. Large flat bottom, good for floor work. Smooth textured handle offers decent grip. These are the best kettlebells for CrossFit and floor work. Review: Power Systems makes kettlebells from 5 lbs up to 30 lbs. The handles are coated in a grippy silicone material, and the entire bell is hard rubber like material, reducing noise and floor wear. These are perfect for use in a crowded class, or in a home gym, where you do not want to damage floors and walls. Grippy ribbed silicone covered handle is sweat resistant and easy to hold. Rubber bell reduces noise and wear to gym surfaces. 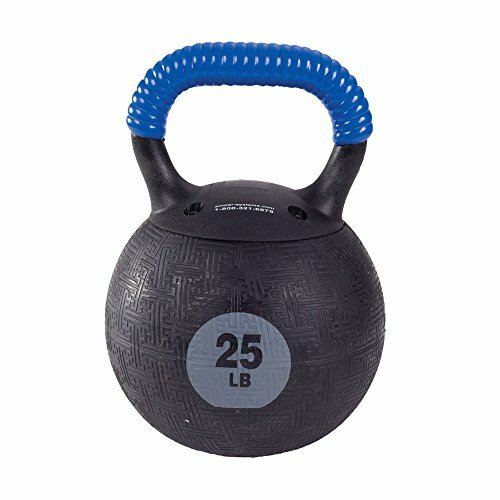 Textured rubber surface is ideal for exercises where you hold the bell instead of the handle, or toss, pass or swing the kettlebell to a partner. 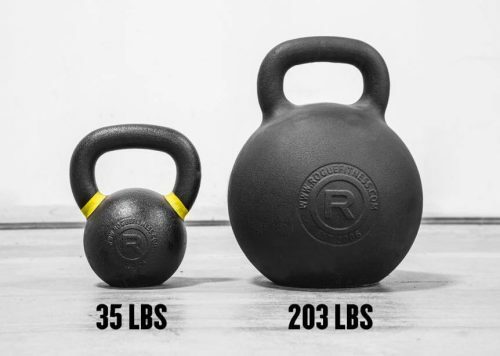 Balanced different than cast iron, made from a hard rubber material, and all kettlebells are the same size, regardless of weight. The best kettlebells for beginners. Review: This kettlebell is one piece, cast out of solid steel. 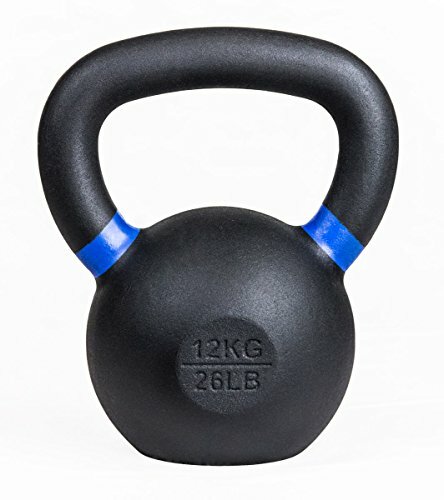 The enamel coating identifies kettlebells by weight, and the handles fit the specifications used in most lifting competitions. If you’re looking to train like the pros or become a competitive lifter, this Pro grade bell fits the bill. Tall, wide, flat top, smooth steel handle. Enamel coated cast steel, one piece construction. Some have handles with ridges or imperfections that may need sanding. Uniform competition size, best kettlebells for pro level athletes. Review: This titan adjustable kettlebell offers 6 different weights in one kettlebell. It uses cast iron plates and a knob dial adjustor to quickly and easily adjust the weight. It has an extra wide handle, for swings and other moves calling for two hands, and a large flat base for stability. 6 weight adjustments from 5 to 40 lbs. The top edge is sharp if the top weight is removed it may bruise your wrist. 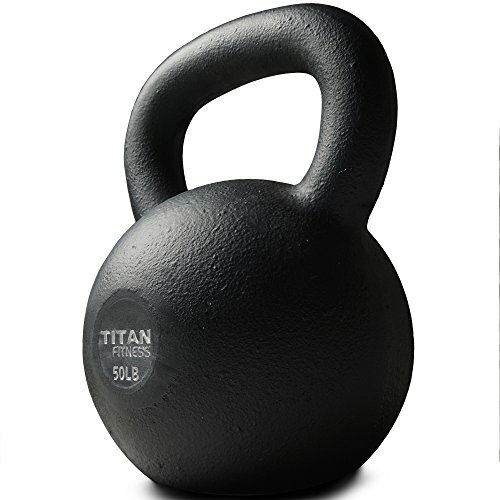 This Titan Kettlebell is the best adjustable kettlebell available, hands down. Review: The budget priced Valor Fitness Kettlebells are available in weights ranging from 4 to 20 kg (8.8 to 44 lbs). Black enamel coating protects from corrosion. Weight stamped on the kettlebell is hard to see. If you are building a home gym on a budget, these are the best kettlebells for home use. 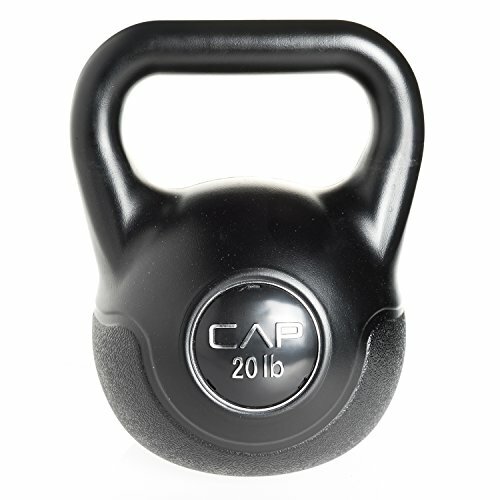 Review: This CAP kettlebell is made from Vinyl coated cement making it very affordable. The vinyl coating reduces noise, protects floors and offers traction so you do not lose grip on the handle. Completely encased in vinyl to protect kettlebell and gym surfaces. The most affordable of all our kettlebell reviews. Review: These handsome hammertone finish kettlebells from Marcy come in weights of 10 lbs to 55 lbs. The durable finish will not peel or chip like paint might, and offers just the right amount of texture for a solid grip, without forming calluses and being rough on the hands. Attractive and durable hammertone enamel finish. Weight of up to 55 lbs. Wide flat handle, accommodates two hands. Best looking kettlebell from one of the best kettlebell brands. Review: Rep Kettlebells come in weights ranging from 2.2 lbs (1kg) all the way up to 106 lbs (48 kg). They are stamped with both lbs and Kg and have colored bands to help visually identify the weight. The handles are lightly textured and allow a strong grip thanks to a matte finish powder coat finish. These high quality kettlebells are single-cast iron one piece design and will last a lifetime. Single – cast solid iron one piece construction. Available in heavy weight, up to 106 lbs. Matte powder coat means no need for chalk, excellent texture and grasp. 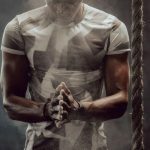 Some find the texture abrasive to the hands, especially when performing high reps.
Best quality kettlebells on the market, perfect for CrossFit, HIIT and Kettlebell class. 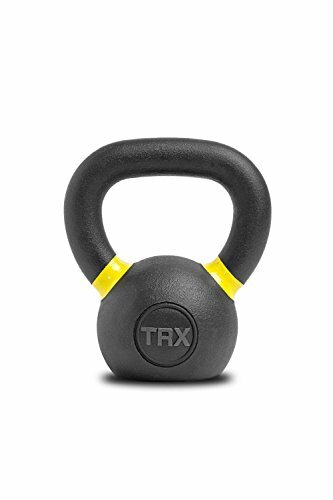 Review: TRX kettlebells are gravity cast which means each kettlebell will have a uniform weight and be one solid piece. Available in weights of 4 to 40 kg, with a matte finish that offers a secure grip on the handle. Gravity cast iron one single piece, more durable than handles that are screwed on. Color coded according to weight for easy identification..
Large flat stable base so weights won’t tip and stand well for pushups and other body weight exercises. Handle is a little small for two handed exercises. 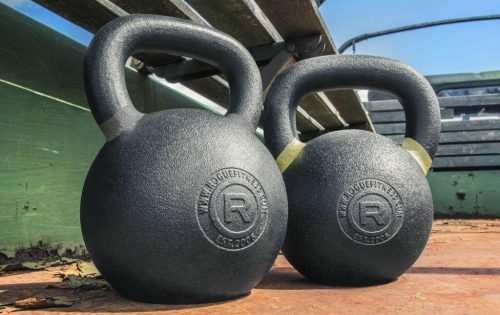 With decent grip, and one piece construction these are the best kettlebells 2019.
Review: This 50lb kettlebell from the reputable fitness equipment manufacturer, Titan will not disappoint. It has a handle large enough for two hands to fit comfortably is made from solid cast iron and has a finish that allows for slip free handling. The kettlebell has not rough edges or protrusions and the weight is stamped into the front in pounds. Grippy finish that gives just the right amount of texture without tearing your hands up. Large handle with wide grip fits both hands at once. Carefully finished with no seams or rough edges sticking out. Packaging for shipping needs improvement. Titan is one of the best brand of kettlebells, and this 50 pounder is a prime example of the brand’s craftsmanship. Review: Rogue standard size kettlebells live up to the Rogue reputation for quality. The Rogue kettlebells are made from first run iron ore, not cheap scrap. They are cast in one solid piece using a process that eliminates the handle seam and prevents dips, voids and other imperfections. There are 17 weight variations so there is a kettlebell there that is sure to be perfect for you. Single piece cast from first run ore.
A matte finish adds superior grip especially if your hands perspire. Handles could be a bit wider to allow for two hands. Excellent grip, good looks, reasonable price and high quality with attention to detail is what you will get if you choose Rogue Kettlebells. Review: Need more Kettlebell? These monster kettlebells are designed for some serious lifting. The lightest weighs 97 lbs and the heaviest 203 lbs. They are cast from one solid piece of first-run iron ore. 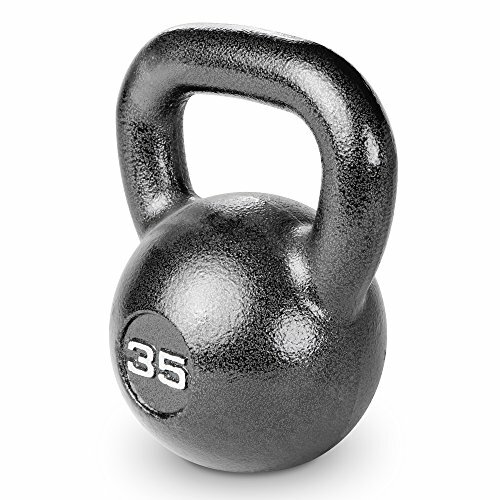 These high-quality kettlebells are finished with a black matte powder coat that allows you to keep your grip. The bottomed is machined flat so it will stay upright and is free of seams thanks to the casting process. Kettlebell finish adds significant grip. Monster kettlebells available in weights from 97 lbs to 203 lbs. Flat base for stability during floor exercises. The texture of finished kettlebell can be rough on bare hands. The heaviest kettlebells you can buy, made from the highest quality iron ore, using precise manufacturing methods. You will not be disappointed. At the end of the day, it’s important to make sure that the kettlebell you select is one you’ll be able to use in the long term which is why it is worth it to pay more for the best kettlebells on the market, that have one piece construction, smooth edges, and a finish that allows for a solid hold on the handle. 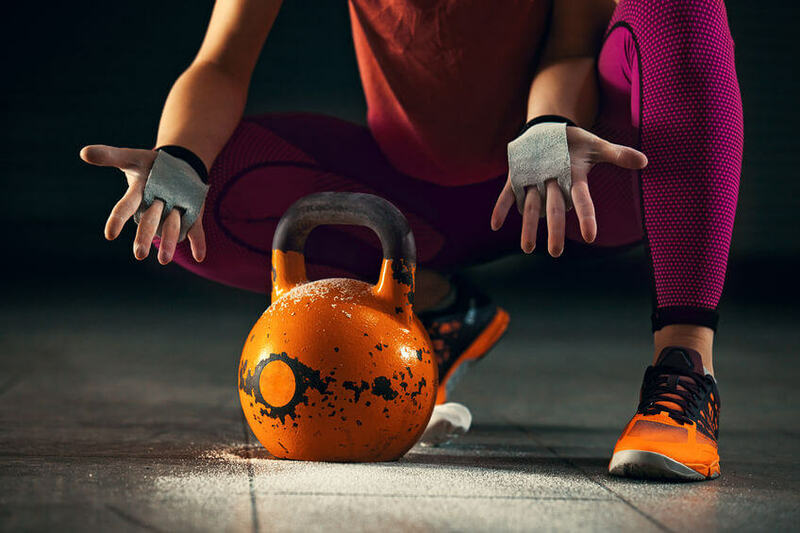 If you think about your needs and consider your workouts before deciding on a kettlebell, we are confident you will select the best kettlebells that fit your personal athletic style. 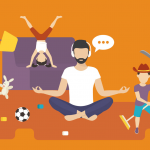 Get FREE lifetime access to all downloadable guides and practical articles that over 7,000 members have already used and loved. No spam. No bullsh*t. Join the movement! 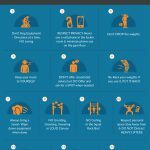 Take this 4 question quiz and find out a full set of customized equipment for your home gym under 1 minute! It’s Your First Time? Afraid? Read This! Gym Virgin’s Survival Guide!